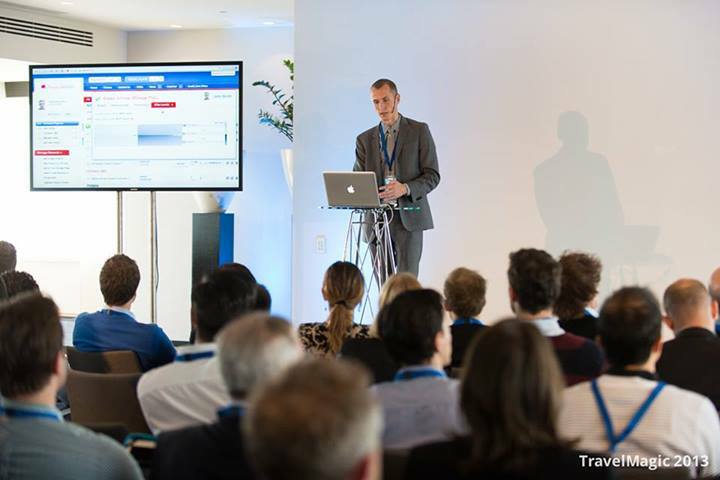 1 van de sprekers/sponsors tijdens het Travelmagic 2013 event was Alexi Vereschaga. 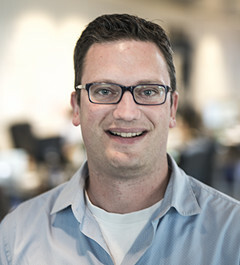 Alexi is co-founder en huidig CTO (chief technical officer) van de online tool Awardwallet.com. Daar ik altijd mijn ogen blijf openhouden voor interessant materiaal voor het schrijven van blogposts, ben ik direct naar Alexi gegaan om de eerste contacten te leggen en afgelopen dagen per mail wat vragen te stellen over deze online tool voor frequent travellers. 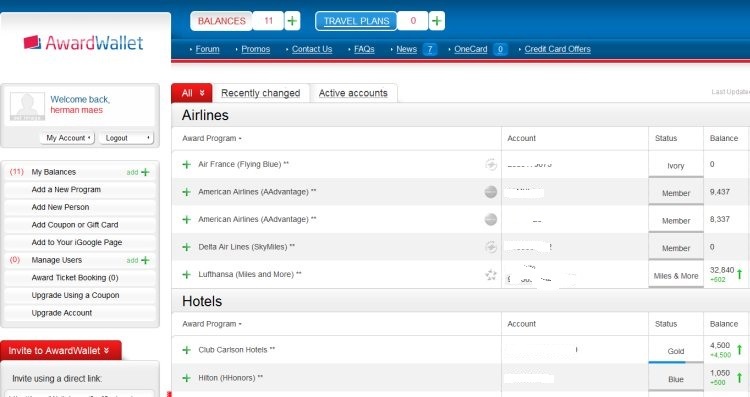 Kort gezegd kan je met awardwallet.com al je vliegtuig/hotel programma’s overzichtelijk gaan beheren en kijken hoeveel miles/punten je waar hebt en of ze misschien gaan vervallen. Q: Hello Alexi, Can you give a quick introduction from yourself and your role in awardwallet? Alexi: I think this about page of awardwallet.com sums it all up. I’m basically the co-founder and co-owner of AwardWallet. At this moment I have the function of CTO at Awardwallet. Q: Can you give some numbers about Awardwallet.com? Alexi: You can find the actual (dynamic) figures also on the about page of awardwallet.com. At this moment we have +178.000 active users on awardwallet with a total of 38 billion managed miles/points (38.000.000.000!!) representing $760 million in value. The team behind awardwallet.com has at this moment 15 full-time employees and 5 part-time contractors to manage and expand the whole platform. Q: From a technical point of view. Which technology is behind the whole platform? Alexi: The awardwallet platform is hosted in the AWS Amazon Cloud with a total of 20 Linux servers. The used technology behin the platform is a total mix, but mostly good old open source stuff. Q: The unique point is the monetizing strategy of Awardwallet.com? 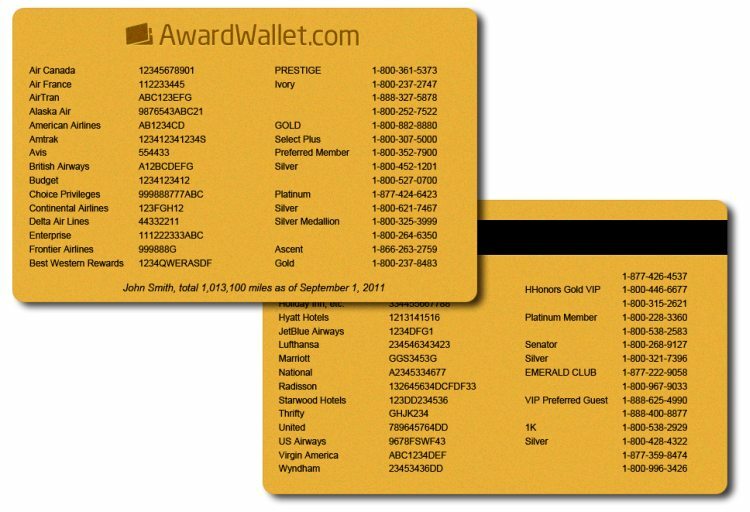 Alexi: On the B2C front we sell AwardWallet Plus and AwardWallet OneCards (see example below), we do award bookings for the users and have a minimal advertising revenue. As you can see we don’t sell any userdata on our platform. On the B2B front we sell APIs (data retrieval) to corporate businesses and partners like Points.com. This B2B monetizing part is what pays the bills for awardwallet.com. Q: Big news for your users last augustus was the deal with American Airlines (see statement on website AA.com)? 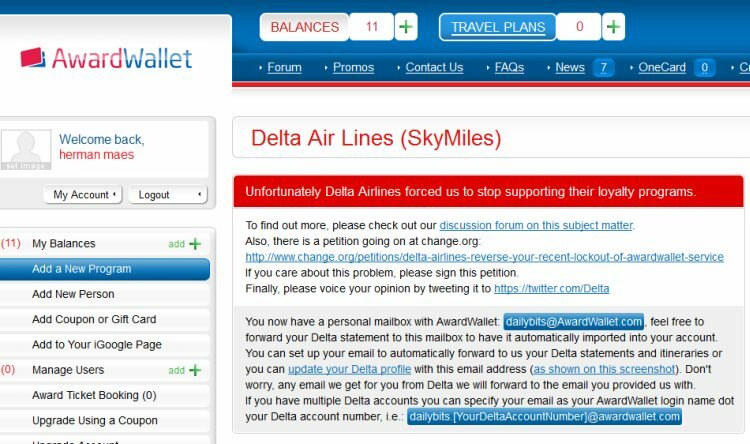 Alexi: The previous decision from the AAdvantage milesprogram to block us hurts everyone: it hurts the most loyal and frequent flyers, it hurts the airline as users become less engaged and become more irritated with the airline and it hurts AwardWallet. There are no winners for the programs that block the data retrieval by awardwallet.com. American Airlines realized that. I sent them a quick email one day to see if they changed their mind and they said that they did. I never asked why but I suspect they realized that there are no winners if they kept blocking us. Delta, United and Southwest are still blocking our data retrieval service. Hopefully they will see this the same way after they read this online petition from awardwallet users. Q: In your presentation, you also mentioned another special feature to track miles from programs that block awardwallet. How is this working? Alexi: This works by forwarding your email statements with your earned miles to your personal inbox at AwardWallet. You can find all information in your account, when you’re logged in. Q: Are their any big things on the roadmap for awardwallet for the next months/years? Alexi: Yes, we are working on a totally new version of AwardWallet. This will have both a facelift and new functionality. At this moment, We’re probably at least 6 months away from releasing it to our users. Je kan de gekregen coupon ingeven via de menuoptie “upgrade using a coupon”. Zalig, kan ik eindelijk ook eens al die verschillende loyalty programs deftig beginnen ordenen ! Wel geinteresseerd in de 6maand upgrade. 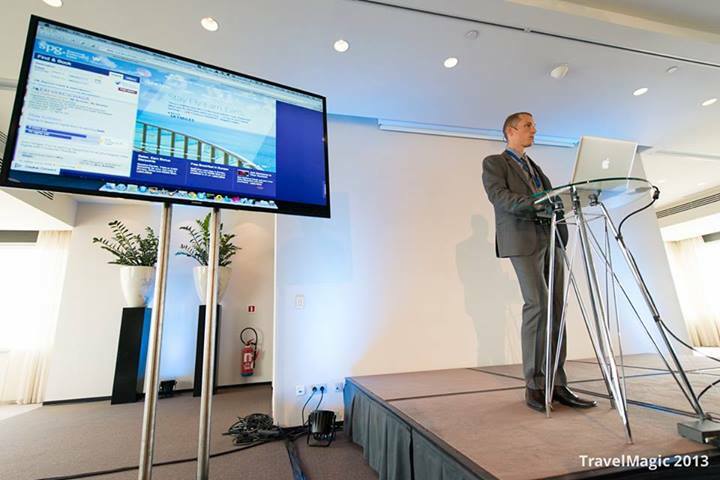 gebruik awardwallet al sinds de vorige TravelMagic. Binnen exact een week zit ik op het vliegtuig naar Japan. Be afraid Godzilla! Be afraid! Ik zou ook graag de upgrade uitproberen. Zag er zeer indrukwekkend uit op Travelmagic. Volgende trip gaat achtereenvolgens naar Copenhagen – Mahe (Seychelles) – Dublin. Ik gebruik het al even en vond zijn uitleg wel heel interessant. De volgende trips die eraan komen Toronto and NYC. Misschien nog Londen en Boedapest. De nodige voucher mails verstuurd. Cool, wil wel eens proberen! midden november: citytrip naar Barcelona.